Joining God at work in the world! Joining God: This expresses an intention to make our lives an outpouring of God’s radically expansive love in a world that cries out for authentic connection and belonging, forgiveness and healing. At Work: We believe that it is God’s great joy and our greatest responsibility to be co-creators with God in the world that is forever being made new. (Isaiah 40:31) This means that because of the abundant love and grace we have received from Christ, therefore we are compelled to pour out acts of love and service to our neighbors. In the World: As a congregation of the ELCA, we are engaged in what’s happening in the world through advocacy and social justice. We care about our neighbors! We partner with congregations in Magulilwa, Tanzania, as well as China Service Ventures, which serves the Henan province of China. 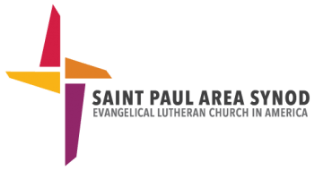 Amazing Grace Lutheran Church had its start in 2007 with the unification of two area churches – Peace Lutheran Church and Royal Redeemer Lutheran Church. Amazing Grace Lutheran Church is like a blended family led by Pastor Julie Wright. As a congregation of the ELCA, we come together to be grounded in God’s love, awakened by the Holy Spirit, and then we are sent into the world to bring the real love of Jesus to our neighbors. Recognizing that this is no small feat, we rely heavily upon God to empower and equip this community, and then to encourage us to step out of our comfort zones and get to work! We do not have an answer for all questions, not even all religious questions. But we do encourage questions and discussion, and enjoy grappling together in the mysteries of faith. What are this community’s practices around Holy Communion? We have an open table at Amazing Grace, which means that everyone (yes, everyone!) is invited to receive the bread and non-alcoholic wine at communion which for us is the body and blood of Christ. We also offer gluten-free bread. A blessing is given to children who have yet to receive communion instruction. A Communion Workshop is held once a year and is open to children and adults of any age. What are your Sunday services like? What can I expect? We follow the ancient liturgy of the church with a contemporary flair. We use modern, every-day language to express ourselves in things like creeds and prayers. We sing old and new hymns. In fact, we love learning new songs! You’ll see people in jeans and a t-shirt or a hockey jersey, while others dress in their Sunday best. You’re invited to show up however you feel most comfortable for an hour of worship. Pray. And consider offering a one-time or ongoing financial gift. Are there children at Amazing Grace? Yes! Inter-generational worship is important to our life together at Amazing Grace. A weekly Children’s Message incorporates concepts from worship into an easy to understand message that children (and adults) can enjoy. Welcome to the Pray Ground! This past year we created a space in the Sanctuary where children can pray and play during worship. This allows children and parents to fully experience worship while keeping children occupied with soft toys, busy bags, books and other activities. A nursery is not staffed, but is available for parents who want to accompany their child(ren) to a quieter space during worship.